Made with select veneer and hardwood solids. Medium brown finish. 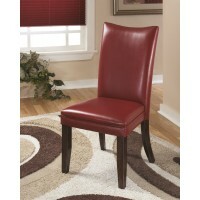 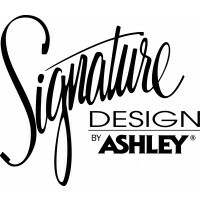 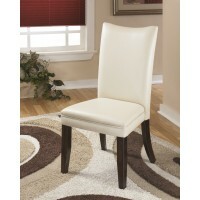 Chair upholstery features a natural faux leather PVC and available in 4 colors. 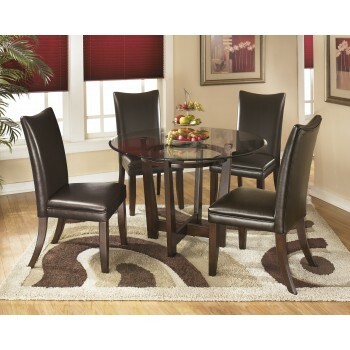 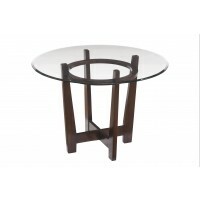 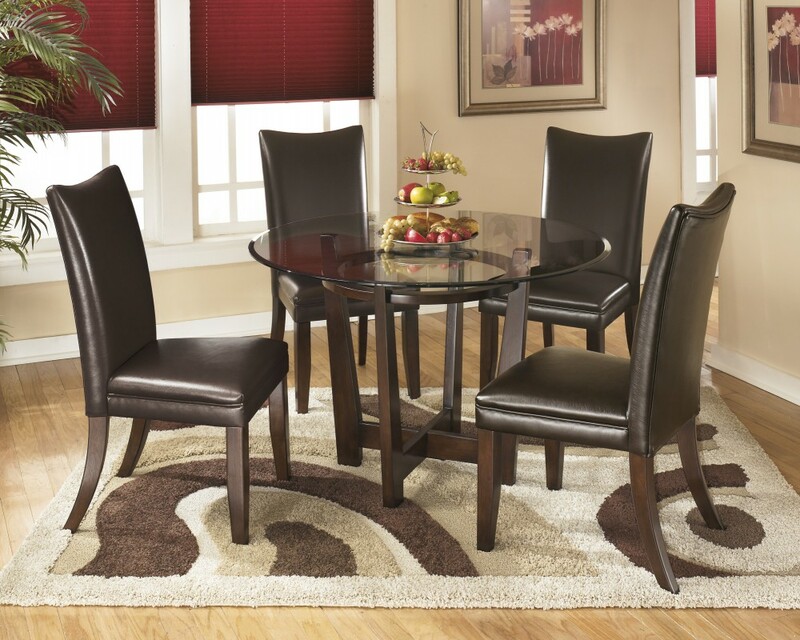 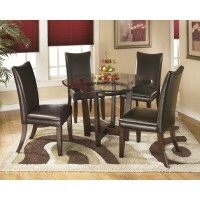 Table tops are clear glass with beveled and polished edges.